Mionix’s marketing strategy of naming its products after heavenly bodies is brave. It’s good, then, that the company succeeds more often than not in designing stellar products. Will its Castor, named after one of the brightest of stars visible in our skies, live up to its billing? Or will it explode like a supernova amidst such galactic expectations? Read our review to find out! Mionix is a ballsy company. I mean, what other conclusion can you make when it makes gaming gear and names them after stars? If that isn’t a declaration of intent and ambition on the company’s part, I don’t know what is. Last year, I sampled three pieces of Mionix gear. One was a headset, while the other two were gaming mice. All three were great performers, for sure, and while the Nash didn’t quite manage it, both the Avior 7000 and the Naos 7000 were good enough to earn the Techgage Editor’s Choice award. The Mionix trio were all stars in my book. 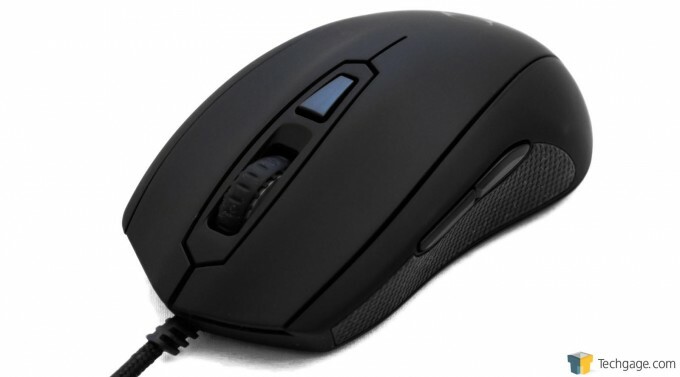 Recently the company sent us its newest gaming mouse, the Castor. 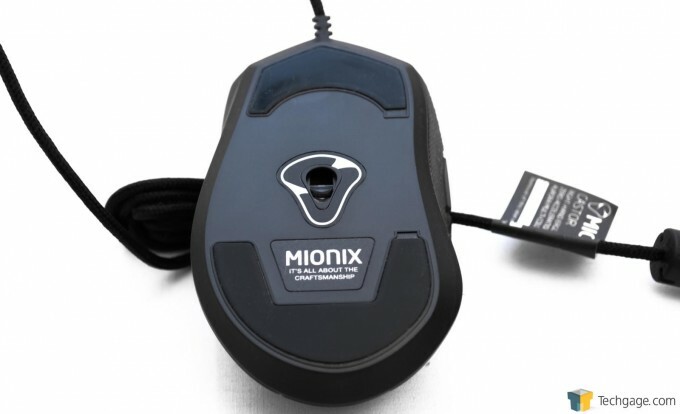 Incidentally, Castor is named after one of the brightest stars visible in the night sky, so it’s clear that Mionix is declaring that it wants us to think that this new mouse is one of the very best available. We wrote some news about it in July, and when Techgage Supreme Commander Rob asked if I’d want a sample to review, I said yes. Let’s have a good look at it, then. It’s typical Mionix, the Castor. The design is unassuming, elegant, subtle. Dressed in flat black, it certainly doesn’t have a visual style that screams, “Hey! Look at me!” like some mice do. But it does exude a dignified, classy vibe. It may not appeal to gamers who love more aggressive, eye-catching aesthetics, but it’s perfect for people who prefer understated styling. 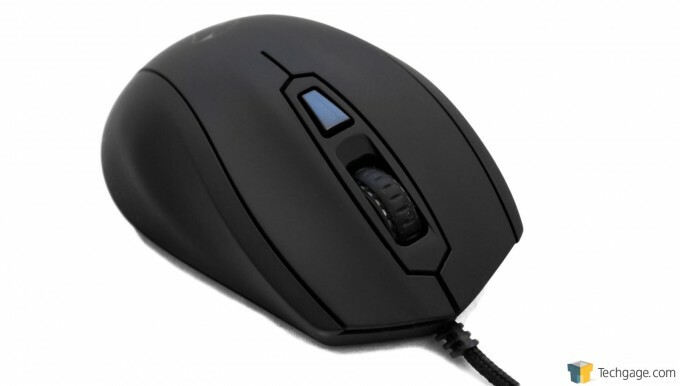 The Castor is a six-button right-handed mouse (sorry southpaws!). There are, of course, the left- and right-click buttons. 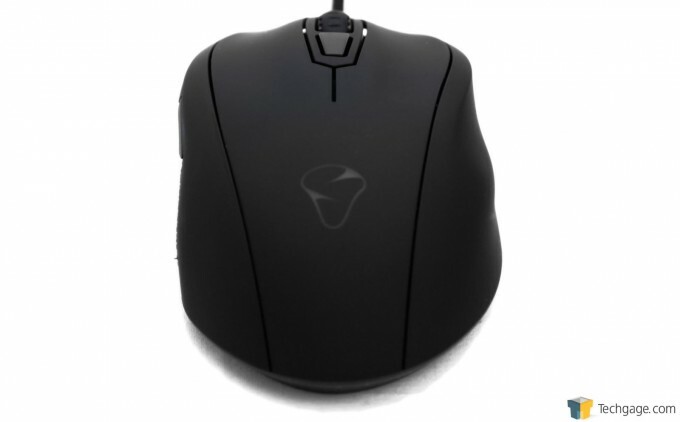 The left flank has two thumb buttons, and the clickable mouse wheel and the DPI switch complete the button complement. As we noted in the news post in July, Mionix touts the Castor as the first-ever gaming mouse that caters to all grip styles. We’ll find out later on if Mionix’s claim is legitimate. Inside the Castor’s body is a 32bit ARM processor running at 32MHz. It also comes with 128kb of onboard memory for on-device profile and settings storage. The view from the front confirms that this is an asymmetric design. The left flank has a textured rubber gripping surface under the pair of thumb buttons. On the right side, the Castor’s flanks are sculpted so that the ring and pinkie fingers can rest on dedicated surfaces for optimum ergonomics and comfort. The Castor’s rump is pretty simple. The only only notable feature is the Mionix logo, which lights up thanks to a multi-colored LED. The whole top surface of the Castor, actually, is coated in rubber to maximize grip and comfort. This angle shows off the Castor’s subtly sculpted right flank, featuring what Mionix formally calls “finger grooves” for the ring- and pinkie-fingers. This shot shows off the bottom of the Castor. 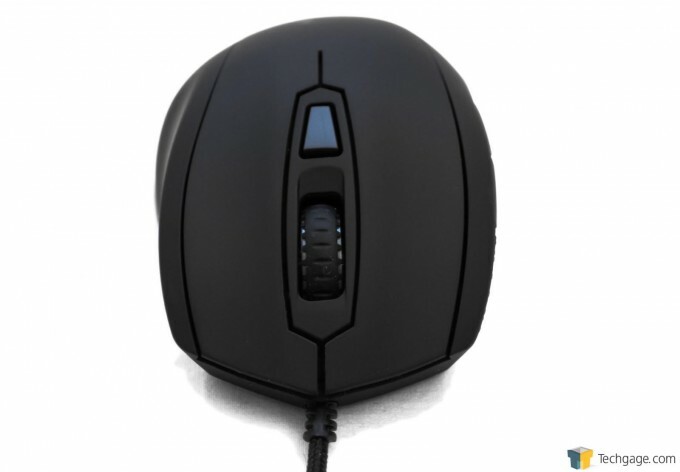 It features two large PTFE feet as well as the emitter for the PMW-3310 gaming-grade IR-LED optical sensor that has a maximum sensitivity of 10000 DPI. Note the “Mionix: It’s all about the craftsmanship” declaration just south of the sensor emitter. I told you Mionix is ballsy. The USB cable connector is gold-plated. Speaking of the cable, it is 2 meters long and is covered in a braided sleeve which feels sturdy and flexible. Like the rest of the Castor, it exudes high quality. I’d be remiss if I didn’t show everything that comes in the Castor package. There is, of course, the Castor mouse itself. To its left is a sheet of Mionix stickers, just in case you want to do some free advertising for the company. And to the right of the mouse is a quick installation guide. Now that we’ve had a look at the Castor, let’s have a look at its software.